Niki Lauda at the Mexican Grand Prix in 2015. 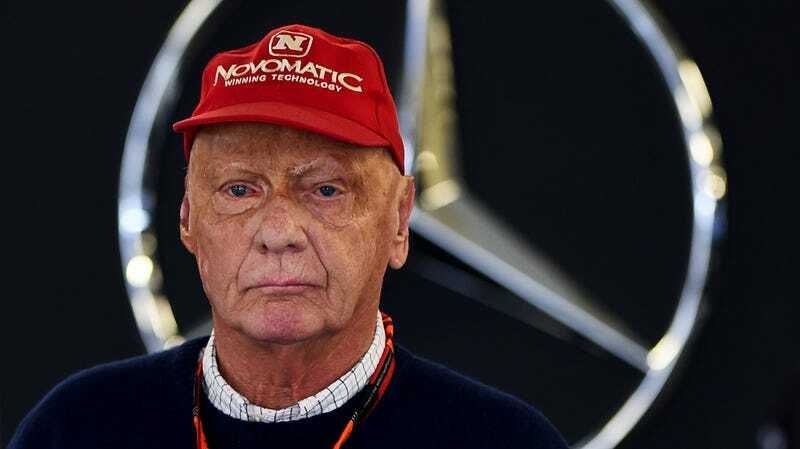 After reports earlier in the week that a case of the flu and a “severe cough” had put him in the hospital, Formula One announced that three-time champion and current non-executive chairperson of the Mercedes F1 team Niki Lauda is now recovering from a lung transplant. An Austrian newspaper, Österreich, reported early on that Lauda got a lung infection while in Ibiza last week and flew back to Vienna to go to the hospital, with some original reports calling it in the flu. The Vienna general hospital later released a statement saying Lauda had a lung transplant while there, and was recovering from it. “Due to a severe affection of the lungs, Niki Lauda had to undergo a lung transplantation at the AKH Vienna today,” the hospital’s statement said, via Motorsport.com. “The transplantation was done successfully by Walter Klepetko, head of thoracic surgery, and Konrad Hotzenecker. Lauda, 69, raced in F1 during the 1970s and ’80s where he rose to become one of the sport’s all-time greats. He won the F1 championship in 1975, 1977 and toward the end of his career in 1984. Lauda was involved in a fiery 1976 crash that trapped him in his burning car for more than a minute. The smoke filled Lauda’s lungs, and he came out of the crash with severe burns. He then had a series of operations to remove smoke and debris from his lungs and face, among other things. Lauda returned to racing six weeks after the crash.